In a way, that’s unfair because McAnuff has presented a thoughtful and well thought through rendition of the play, one that emphasizes the hell in war rather than the glory. For starters, he has not shied away from including Henry’s blood-curdling threat to the townspeople of Harfleur or the grisly slaughter of his French prisoners to free more men for the battlefield, details that are often excised from more jingoistic productions. The overall tone of the piece is dark and claustrophobic, despite the expanse of the Festival’s stage. Heavy beams loom overhead, drawbridges lower and raise, an enormous cannon rolls on stage, and a seeming cast of hundreds fills every available scrap of stage real estate and troop through the audience. Much of the action seems to take place at night or under lowering skies. McAnuff seems more interested in depicting the Machiavellian playbook than in making a hero or villain out of Henry. There is a time for magnanimity, there is a time for ruthlessness, there is a time chivalry, there is a time for war crimes, and when realpolitik demands it, a true king must be prepared to become the world’s greatest wooer of princesses. It’s a perfectly valid and defensible choice. Unfortunately, audiences come to Shakespeare with certain expectations and with a well-known war horse like Henry V, the expectation is to be thrilled by Henry’s battlefield oratory. Aaron Krohn, who was so chilling in last season’s Homecoming, gives an intelligent, crystal clear but oddly bloodless reading of Henry. The most famous speeches fall flat, apparently by design. The Crispin’s Day speech trails off and ends with Henry plopping to the ground. It’s hard to imagine this is simply an actor’s choice and not the director’s. It’s as if, to avoid invidious comparisons with Branagh (or perhaps to downplay the heroics) McAnuff decided to do something radically different. thank God – and he has drawn excellent performances from a large supporting cast. It’s great fun to watch Festival stalwarts like Tom Rooney (Pistol), Ben Carlson (Fluellen), Randy Hughson (Bardolph), and Juan Chioran (Montjoy) give flawless readings of these justly famous secondary roles. If you come to this Henry expecting to leave the theatre ready to follow the king into the maw of battle, you will likely be disappointed. If you are willing to accept the production on its own terms, you will find much food for thought. 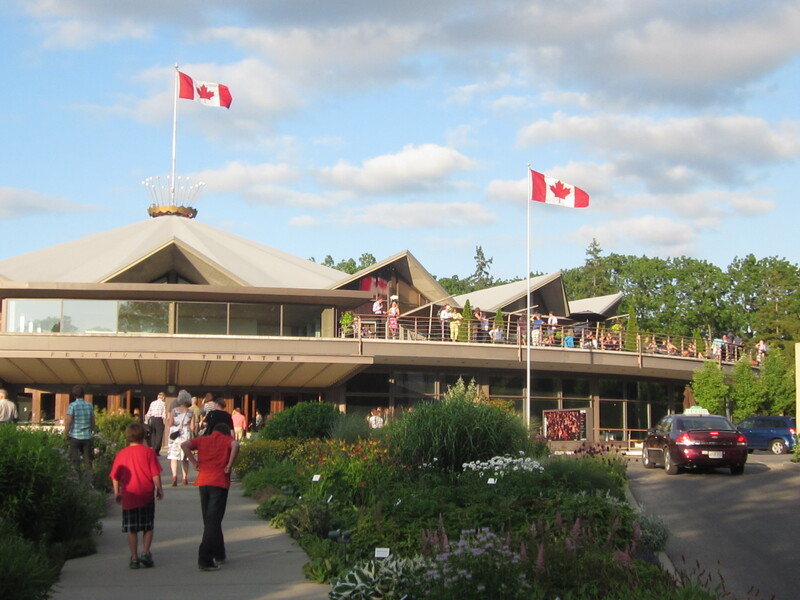 Henry continues at the Festival Theatre though September 29, 2012. 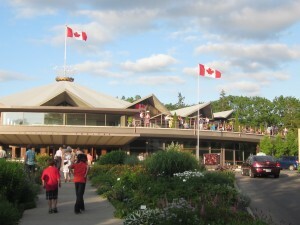 For more information visit www.stratfordfestival.ca.